It’s been a while since I blogged, and felt like this was a good time to bring it back. I’ll probably be talking politics mostly, but who knows where it’ll go. I’ll be attempting to do it regularly and be more disciplined with it this time. It seemed a shame to stop before, despite my blog being featured on WordPress ‘Freshly Pressed’. I have felt the need to remove my old posts – it happens to everyone I’m sure, but, much like watching videos of myself do comedy, I was slightly cringing reading them back, so I wanted a clean slate. I should say now, that I doubt I’ll talk much (if at all) directly about Donald Trump. There will never be anything I can reasonably add to what has already been said about the man, so I probably won’t. I already find it tedious, and it’s been weeks. It’s been said to me that “it must be a golden time for comedy at least”. No. No it isn’t. It’s already boring. Did you know Trump was sexist? Wow. Tell me more about how stupid George Bush is. Is John Prescott really fat? Personal preference, but I don’t think I can bring myself to do it. If he comes up, it will be as part of another story. Anyway, here are some thoughts on recent events. Feel free to not read them. 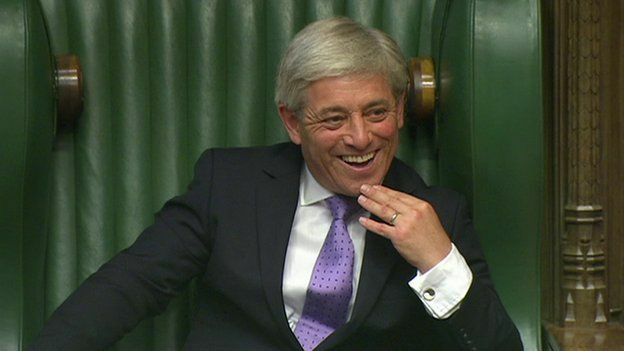 I am a big admirer of the Speaker of the House of Commons, John Bercow. I feel I should say that up front, because he really is a quite remarkable man. He has no shame in making sure the government is held to account, with a record number of urgent questions granted, and he makes sure the minister responsible damn well turns up to the House to answer them. He takes a dim view of junior ministers showing up to defend a question, and will often keep granting questions until the minister shows. He is also, as far as I can see, fair and reasonable in the Chair. If I had any criticisms, it would probably be that he seems to like the sound of his own voice a little too much. Despite regularly calling the House to order during Prime Minister’s Questions in a calm manner (very often the only session of the week that even requires such interventions – it is otherwise very well behaved and orderly), he can, at times, try to shout above the fray with a joke or a witty put down which doesn’t really work. Shouting over a braying chamber helps nobody, and puts one in mind of a supply teacher out of his depth. Telling Chris Ruane “you are an incorrigible delinquent at times” was probably the best one, with telling David Cameron “the Right Honourable Gentleman is finished [speaking], and he can take it from me that he’s finished” a close second, but otherwise, it can be pretty excruciating. Nevertheless, he is keen to ensure that the House is presentable to the public and, knowing that PMQs is pretty much the only time the public are watching with any regularity, tries to discourage bad behaviour. However, despite his good points, he does himself no favours with his recent statements. He has often had a significant group of Tory MPs out to get him, and has even survived a couple of attempts to topple him. This, despite his past as a Conservative MP and a reasonably active backbencher. So why on earth would he give them any ammunition by giving his opinion on matters he ought to be strictly neutral on? In the middle of a Parliamentary session, Mr Bercow decided to give his opinion on a potential address by the new American President to both Houses and came down squarely on one side. Now, there are several problems with this. Firstly, it is surely imperative that we put aside whether we agree or disagree with what he said. For the Chair to retain its integrity, this cannot matter. I happen to agree with the sentiments expressed, but that is not the point. It isn’t his place to opine on matters of State in public, it is his place to represent the wishes of the House of Commons. He made no attempt to ascertain these wishes, and therefore could not, with any degree of confidence, pronounce on them. If he wishes to give his opinion, he should be absolutely free to do so…the second he resigns his office. There can be no other way. His office affords him immense privileges. He is a member of the Privy Council, he can give private counsel to the Prime Minister and he can also give private counsel to the Queen. The key word here is private. Secondly, he addressed a matter that did not even exist. There was no plan for the President to address Parliament in Westminster Hall at that point, so in addressing it, he made it into the story it became. There’s an old adage in football – the referee should never be the story. The same applies to the Speaker, but alas all too often, Bercow makes himself the story. It should also be noted that, whilst he was addressing an audience outside of the Commons, it was most unwise of him to reveal publicly which way he voted in the referendum. Again, put aside whether or not you agree (a good test is to always think, “what if he’d said the opposite?”), this can only bring problems on himself. He is already accused of bias and partisanship. This may or may not be accurate. However, by making these public pronouncements, he needlessly opens himself up the charge. If he is so keen to give his opinion, he should do so privately, or resign. I personally wish he does not resign, but I fear his time will soon be up. I hope that is not through a vote of no confidence, as that would not be a fitting way to close a positive and forward thinking tenure as Speaker. But he is not an unintelligent man, he must have known he was creating these problems for himself. So is he just trying to provoke one last news story before he resigns himself? We shall see. Always…ALWAYS, finish the course of antibiotics. If you don’t it will just come back. And it will be more irritating and frustrating than ever before. 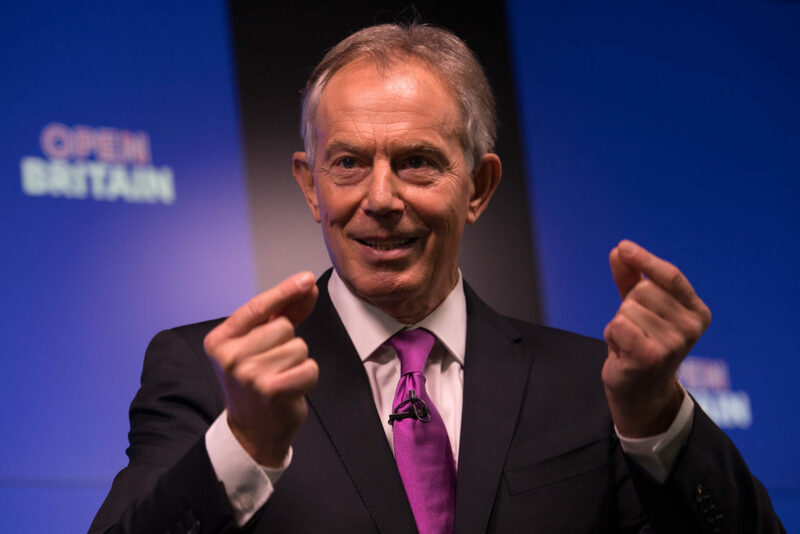 Fortunately, it seems with Blair’s latest relaunch, it skidded off the runway and landed in a field (I may be using too many metaphors here…). Pretty much everyone regarded his recent interference in public life with scorn and revulsion; even those who may have broadly agreed with his assessment could not help but be put off by the messenger. He really doesn’t seem to get it does he? There is no way back for him in public life. The catastrophe of the Iraq War will be a permanent, lasting scar on the collective psyche, and he, the smiling face on the poster. “Our challenge is to expose relentlessly the actual cost, to show how this decision was based on imperfect knowledge which will now become informed knowledge, to calculate in ‘easy to understand’ ways how proceeding will cause real damage to the country and its citizens, and to build support for finding a way out from the present rush over the cliff’s edge”. It is almost comical in its lack of self awareness. This could be an exact copy of a speech a wizened, old, broken Blair could give to his 2003 self, were he to acquire the advanced technological means to enable such a coming together. “Expose relentlessly the actual cost”…would that be the millions of lives, billions of pounds and countless displaced? “Show how this decision was based on imperfect knowledge”…would that be in the form of, oh I don’t know, some form of ‘dossier’? “To calculate in ‘easy to understand’ ways how proceeding will cause real damage to the country and its citizens”…the citizens of Iraq didn’t need a calculator, mate. “Build support for finding a way out from the present rush over the cliff’s edge”…millions protested. Begged, pleaded, implored you not to do it. And yet you did it anyway. He is toxic to anything he now touches, he is poison to any message he cares to spread. He will forever infect any cause he opens his mouth about. If he cares at all, he will stay away. You love him really. What other explanation is there? One of my favourite shows to watch from across the pond is “Real Time with Bill Maher”. I like Bill, he’s funny, he’s opinionated, but he’s also fair. I would have enough disagreements with him to keep us going for weeks were we to ever meet, but man, the guy is funny with it. For me, the best thing about the show is that anyone, from anywhere on the political spectrum, is invited on. Conservatives and Republicans need brass ones to go on it and face Maher’s overwhelmingly liberal crowds, but when they do, they are afforded a level of respect and an ability to speak uninterrupted not really seen anywhere else. Regulars on the show have included Ann Coulter, darling of the American Right, Kelly-Anne Conway, director of Trump’s campaign, and figures like Sam Harris and Bill Burr. Recently, however, Maher had invited on the nemesis of all right-on liberals – Milo Yiannopolous. Another panel member refused to do the show because of this invite (and made a bit of a thing about it on social media…I don’t really like the term ‘virtue signalling’ but that felt to me like it was it). Now…Milo is controversial to say the least. He is currently banned from Twitter for life, had to cancel a talk at Berkley due to actual riots at his presence (how very charming) and is writing a new book for which the publisher has already had boycotts and huge media attention, despite the thing not even having been written yet. My own opinion of the guy is that he seems to just be trolling for trolling’s sake. I don’t really read his writings because it’s a little boring. As someone who can rarely be bothered getting offended about anything, certainly not on behalf of others, saying supposedly ‘shocking’ things about women, trans people or gays just comes across as crass and mean. If I thought he was trying to make a serious point, I’d listen. But it doesn’t feel that way at the moment. He claims he is advancing the cause of free speech…well, maybe. I certainly would back him against any protests to shut him down, and I certainly would take no part in any boycott of him. Let him speak, if he wants to. And let others listen, if they want to. Anyway, this appearance on Real Time. He fired off his usual shots about feminism and some other quite offensive things. And then it was over. Nobody got hurt, nobody had any violence incited against them, Milo looked a bit of a pillock (in my opinion) and Maher thanked him for being on the show, having stuck in some skewers along the way. End of story. Why should this be so hard? I wasn’t offended, but it reinforced my original thoughts about him. He’s a bit of a troll who wants attention. So please, feel free to keep giving it to him. It will ensure his notoriety and solidify his core support. I remember, as a fan of the Apprentice, following Katie Hopkins on Twitter (as I did with most contestant once they had appeared on the show) when she had about 5,000 followers. Then she started being the way she is now. I warned everyone to just ignore her and stop talking about her and she’d go away.The predictable first response from a friend was ‘well, you’re talking about her now, you’re doing what she wants…blah blah blah’. Fine. This is the first thing I’ve said about her since. She has 678,000 followers now. Well done everyone. Yes, of course I can. Why wouldn’t I believe it? It’s their raison d’etre. I can’t help but think that liberals, secretly, love to despise them. It feels good, no?